Rome Point Oysters are grown and Harvested by Oysterman Russ Blank, who has been a fisherman for most of his life! Russ's Rome Point Oysters have an "Ocean Salty flavor with a creamy & Sweet finish" to them! These are another excellent Oyster Choice. 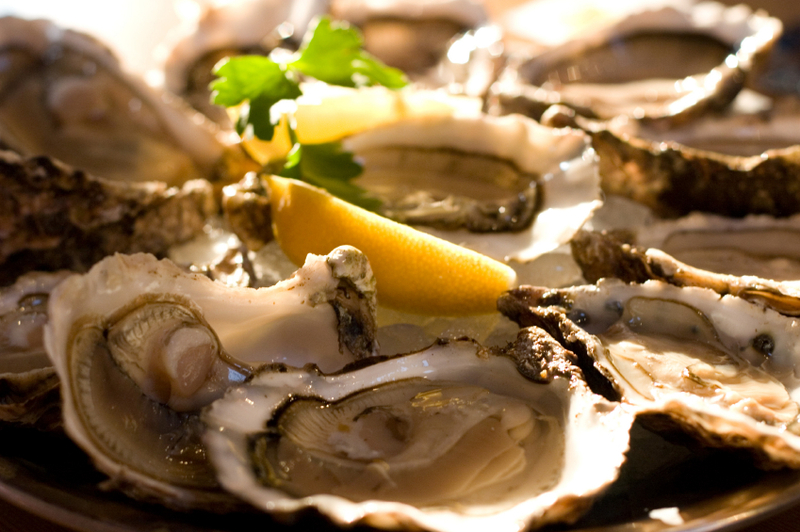 Russ's Rome Point Oysters have an "Ocean Salty flavor with a Creamy & Sweet finish" to them! These are another excellent Oyster Choice and come 6 per order! If you are looking for a fresh & sweet yet strong flavored Oyster, these are for you! Order Your Fresh Rome Point Oysters By 10am EST, And Enjoy Them For Dinner Tomorrow! Oysters Also Make A Great Gift Idea For Your Favorite Seafood Lover! How Easy Is That! These were some really fresh and tasty oysters. packed well and arrived on time and were nice and fresh. I enjoy a lot of oysters from all around the south and west coast. This is my first time ordering them from the "right" coast. I was not dissapointed at all. Lots of flavor,nice and salty, and tasted like the sea. Slurped them all down and we will order more again. thanks Kyle G.
we enjoyed the oysters on the helf-shell. We stored them rightside up like the girl suggested and enjoyed them the next day as an appetizer. It is great to see you now have a bit of a variety with oysters, your lobsters are always a big hit too.Karen M.